Our new Scentsy Buddies Ark candle warmer is so adorable. What could be cuter than a boatful of Scentsy Buddies? They’re all settled in, ready to set sail. This piece is carefully and individually finished with hand-painted detail. 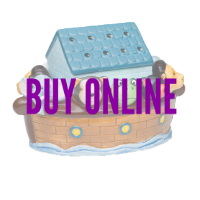 Kids will love the Scentsy Buddies Ark as their imaginations take them on a journey with their favorite Scentsy Buddy animals. 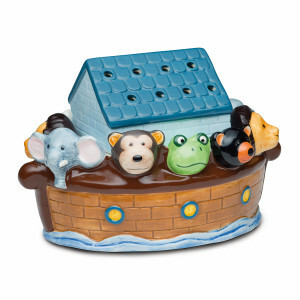 Scentsy Buddies Ark is 6″ tall and is an element warmer (uses a warming plate, no light bulb).